So maybe you didn't grow up in Scouting, but if you’re a working person, you can take a lesson from the Boy Scouts. 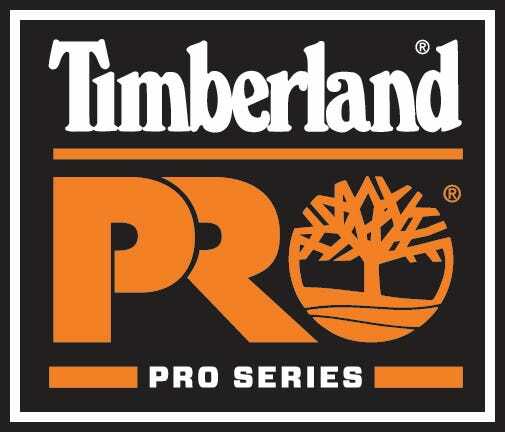 That lesson is their motto, “Be prepared.” If you get up for the daily grind, you can better prepare yourself by putting on these Timberland PR ... (see full details) (see specifications) #TB0A1KBW001. So maybe you didn't grow up in Scouting, but if you’re a working person, you can take a lesson from the Boy Scouts. That lesson is their motto, “Be prepared.” If you get up for the daily grind, you can better prepare yourself by putting on these Timberland PRO Ridgework Men's Black CT TB0A1KBW001 WP Mid Work Boots. These mid-height black work boots from Timberland have been built to prepare you for any type of job site. For starters, these men’s composite safety toe boots are 100% waterproof. This is the case because they're constructed with naturally water-resistant full-grain leather that's backed by an impermeable waterproof membrane. That isn’t the only exterior protection these Ridgework waterproof boots offer. These Timberland PRO EH boots also act as a barrier against any bloodborne pathogens you might come into contact with at the workplace or elsewhere. The interior of these mid-height men's boots showcases the brand’s anti-fatigue cushioned footbed. This cushioning works alongside Timberland’s carbon shield technology and stable stride stability platform to fight common stress that can cause foot injuries. The inclusion of a composite safety toe cap also helps to fight against potential crush injuries at the job site. These waterproof black boots feature Timberland’s PRO outsole. This non-marking outsole is abrasion-, heat-, oil-, and slip-resistant. It also includes the brand’s Ladder Lock system that helps you maintain safe and comfortable footing on a ladder or scaffolding. On top of that, the 100% non-metallic uppers allow these slip-resistant boots to be EH rated for protection against electrical hazard injuries. If even with all of that protection, you still might find yourself feet sweating. An anti-microbial interior lining will help wick-away moisture and fight the buildup of odors over time. If we have yet to convince you that these Timberland PRO Ridgework Men's Black CT TB0A1KBW001 Waterproof Mid Work Boots will have you prepared to face the day, then we can only suggest you become convinced by seeing for yourself and ordering a pair today. Timberland PRO Boots: Ridgework Men's Black CT TB0A1KBW001 WP Mid Work Boots is being added to your cart.